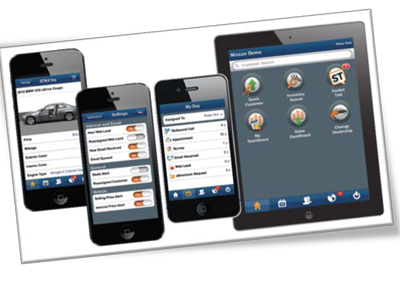 Pentana Solutions is pleased to announce the availability of its industry-leading CRM tool in a mobile application. 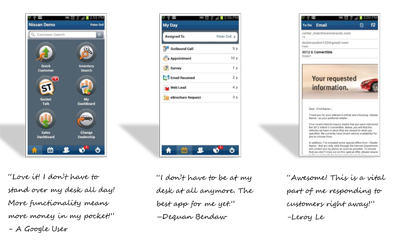 Communicate with customers via phone, email and text - without your computer! If you’d like to update sales events and opportunities from anywhere, access your inventory from anywhere, push a deal to your DMS in seconds, never run back to your desk again and manage all sites and franchises in one location - please contact us here!